Private Chef on the Move in Scotland for Hire ? Family style chef services from breakfast to dinner or just one service, Giuseppe is happy to serve and cook anything. 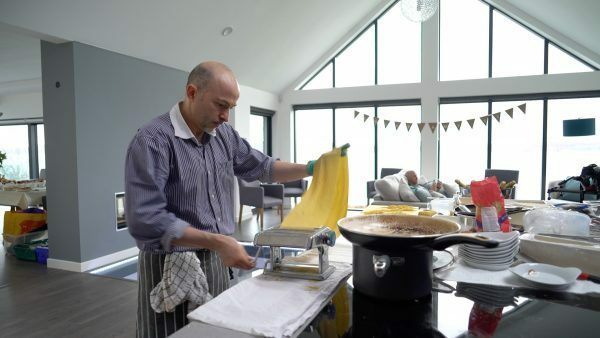 You can hire also one of Giuseppe’s favourites chefs for a day or more. From Pitlochry to Oban, Arran and New Castle and Scottish Borders you can enjoy your personal chef. Weddings around Scotland or Happy Birthdays Hen Parties is all about your needs.Intimate families dinner or business lunches.There is no limits to the options.He also can prepare your cocktails from a nice Bellini to a classic Martini Cocktails is all about you and your guests.At this time that we write this article we are in Easter time with lots of things going on and if you are one of those with a great family to bring around somewhere in Scotland or preparing yourself to the nice sun of the spring then Giuseppe is here for you with his BBQ ideas, homemade pasta dishes, and the right culinary skills to bring at your table the best experience you can dream about. Hire a Private Chef for a romantic dinner enjoys the freshness. Also, you can hire Giuseppe and his chefs for a romantic dinner for two. No size of party is too small or too big. Celebrate your memories with style and the right team of chefs. 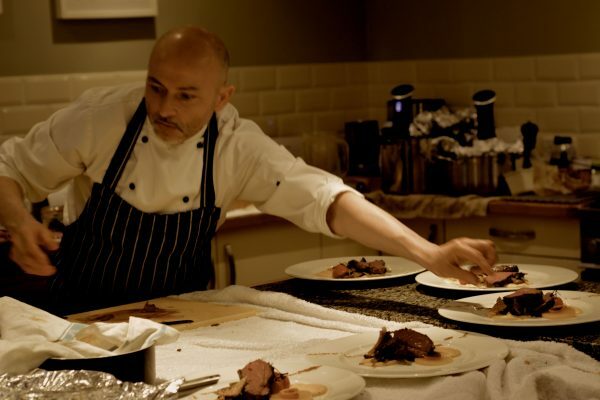 So if you are Looking for hire a Private Chef on the Move in Scotland …. now you know that Giuseppe is your choice! I am reading a book this morning about nutrition and how we can influence for the better the cells of our body when we feed it the right way.Is like when we feed our mind with good thoughts, then we reach out Creativity and Positivity. I’m offering Private Chef Services & Bespoke Catering Services for Scotland, but I’m also interested in the power of our brain and how we can influence it like we can control our body life.I think everything is related. When we read bad news and choose to think bad thoughts we reach negativity around us. So now is look like I mess up my writing, but I really believe that everything is related. If we feed our body with good and healthy food, of course, the age is going against us but we will help our cells to leave longer and better, and the same is for our mind, if we choose to read positives material to watch at life for the good, we consequently eliminate many of the negatives thoughts that generally come up during the day. We must be aware that we live surrounded by a negative world, almost everything is focused on negativity, the news on the telly and the newspapers are most of the time negatives, people are more attracted to buy if they see significant drama showed on them.Then is for the food as well. We are attracted by beautiful colours and astonishing decorations but what we don’t realise is that, that kind of stuff need to be done with colours that are not naturals and also shaping, and decorations are done with many artificial products. As Private Chef I choose to cook and serve to my clients Healthy and tasty food that are free from these products. From my reading, I understand that we can influence our healthy life through eating well and the same is for our mind. We keep it healthy when we read and think healthy. The choice is up to us but as clients what we can’t choose is to eat what someone introduces to us as a beautiful coloured dish with vegetables and a lovely cooked piece of meat, but we don’t know how the chef has reached the astonishing colour or some beautiful stand-up decoration. That kind of stuff is going to influence by the years our health. I bring some personal experience here. I come from Italy, so I’m an Italian chef in Scotland. My father uses to smoke, usually two packs of cigarettes per day and then he went to 4 packs. We use to live on a farm, and we could choose what kind of food eat and what type of air breath. He decides to smoke and eat all the junk food that we now know. So he died with bad health at the age of 62. On the contrary, my Grans lived better, and longer life thanks to their habits of eating food from the farm and chose not to smoke. Now, what is my Point? Why a Private Chef Company a Bespoke Catering Company entrepreneur bring a speech like this into his website? Because I will never be too tired to share with you how I’m in love for cook and serve to my clients very fresh and preservatives free dishes. I see beautiful Images of cupcakes and cakes on social media, amazing colours and far as I know that colours are not naturals, are considered edibles by the law but not naturals. This means that if you bring all the amount of junk food we eat every day and we sum all the related preservatives together and if we can imagine this amount in front of our eyes at the end of the year, then this is exactly what our body has stored and is not able to throw away.We don’t need a nice colour on our dishes, we don’t need a decoration that is filled with chemicals, we need tasty dishes, cooked and presented professionally, fresh and guarantee that they have been managed with care and love, and this is what my job as a Private chef is all about .